What’s the predictions for Bankies v The Village People tonight? A repeat of last seasons 3-1 win would do nicely. Hopefully Hurlford can lift themselves from Saturday's defeat to keep the title race alive with a win at Renfrew. Bit rich someone with my club Rangers having a pop at other teams problems, your team died. I think you better check our excellent twitter page for updates on how the ground is coming along! Before you trot out “it’s Yoker’s ground” it’s a council owned community ground that will be ours as well as Yoker’s home ground. 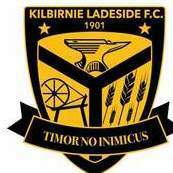 KB, why do you call Auchinleck Talbot " The Village People"? There’s a difference between having your league membership bought and being liquidated! Rangers are no more,look up liquidation. Clydebank were never liquidated, and as you say, it’s the wrong forum.